Cardiff City have appointed Ken Choo as chief executive, five months after he arrived at the club as general manager. Choo, an ex-senior auditor for PricewaterhouseCoopers in Malaysia, arrived at Cardiff in June 2014. Former chief executive Simon Lim left at that time and executive chairman Mehmet Dalman was acting chief executive in the meantime. Dalman said: "Ken has brought stability and structure to Cardiff... allowing the club to plan for the future." 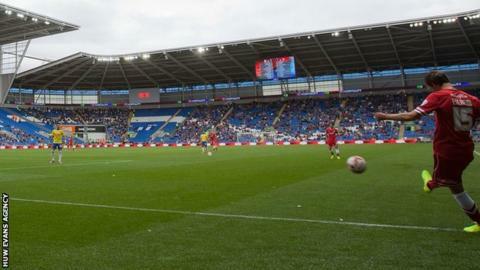 Choo thanked Dalman and club owner Vincent Tan in a statement issued by Cardiff City. "We still have a great deal of hard work to do and there will no doubt be challenges ahead," said Choo. "But with the support of all associated with Cardiff City Football Club, including our dedicated staff, I am confident that we can go from strength to strength, both on and off the field." Dalman added: "His [Choo's] appointment as CEO is a recognition of his work and outlines our confidence in Ken's abilities."